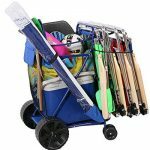 The Wonder Wheeler Wide from Rio Beach is an all-terrain cart designed to provide a hassle-free way carry heavy loads to and from the beach. Using the same technology as a baby stroller, the Wonder Wheeler has an extended push or pull handle with a neoprene grip for comfort. 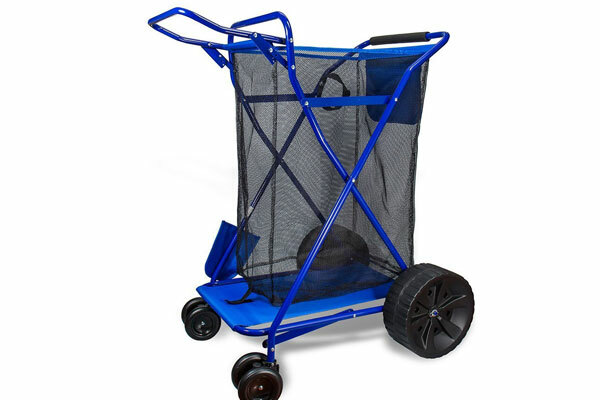 Outfitted with extra wide, 10-inch diameter rear wheels, the Wonder Wheeler cart offers the floatation required to pull a load over soft sand and bumpy paths. Meanwhile, the 4.5-inch diameter front wheels make pushing and navigating smooth paths and roadways easier. 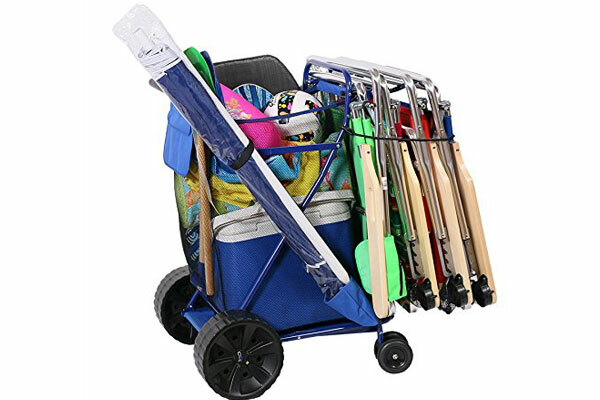 Built to carry loads of up to 100 pounds, the Wonder Wheeler provides ample space for a cooler, up to four beach chairs, a beach umbrella, and more. 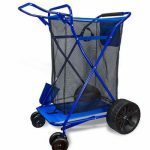 The cart provides multiple storage and access points for gear with a large mesh pouch, a removable tote bag, an umbrella holder, and a bottom tray and rack. When you’ve got your beach plot set up, simply fold the Wonder Wheeler up until you’re ready to pack up and leave.